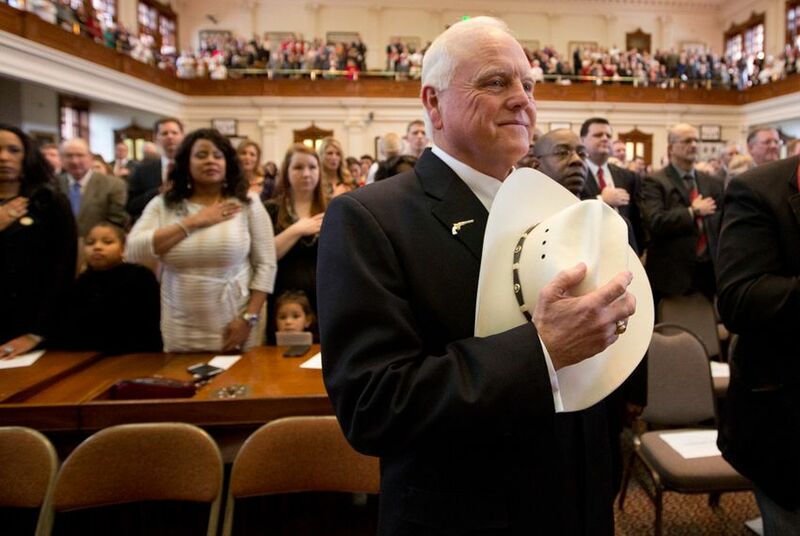 Agriculture Commissioner Sid Miller is looking to buck a decade-old statewide ban on deep fat fryers in public schools, putting decision-making about food in schools back in the hands of Texas school districts. Within the next couple of months, the Texas Department of Agriculture could be poised to repeal a state policy that bans deep fat fryers and soda machines on school campuses and places limits on the time and place that junk food can be sold there. In addition, Miller is proposing an increase in the number of allowed fundraiser days – when cupcakes and other sugary, fatty foods can be sold during the school day – from one to six per school year. His critics are calling foul, saying that Miller's actions are counterproductive in a state struggling to contain child obesity rates. But the commissioner believes that repealing these parts of the Texas Public School Nutrition Policy will simplify things, pulling the state into line with less-strict national standards. Currently, there are no federal restrictions on deep fat frying as a preparation method. Miller hinted in January that deep fryers would be one of his priorities, and he officially proposed the change in March. A public comment period closed earlier this month, and Miller's nutrition team is now reviewing more than 200 comments. He is expected to announce this summer whether the commission will move forward with the changes. The deep fat fryer and soda machine ban are the last of strict nutritional policies introduced by former Agriculture Commissioner Susan Combs. In 2004, in addition to those bans, Combs introduced the more comprehensive Texas Public School Nutrition Policy, which banned foods with high levels of sugar and fats in public schools. The policy was repealed last year, when Todd Staples was commissioner, and Miller has consistently expressed his support for less regulation of food in schools. In January, Miller granted amnesty to cupcakes during his first act as commissioner in an attempt to reassure Texas parents that cupcakes and other treats would be allowed in schools under his administration, which he promised would increase local control of decision-making processes and protect the rights of parents. “This is coming from when he was on the campaign trail,” said Bryan Black, a spokesman for the Texas Department of Agriculture, referring to the proposed changes. "He heard it repeatedly, when it came to cupcakes and other things. People were asking why local communities shouldn't have a say." But for many parents and nutritionists, that reasoning doesn't square with reality. In 2013, 16 percent of high school students in Texas were obese, up from 14 percent in 2005. Only Arkansas, Kentucky and Alabama reported higher rates. Nationwide, child obesity rates have jumped from 7 percent in 1980 to 18 percent in 2012. Among minorities, the rates for children and adolescents were significantly higher, with Hispanics at 22 percent and non-Hispanic black youth at 20 percent. The Partnership for a Healthy Texas, a statewide coalition of more than 50 organizations working to prevent obesity, filed an open letter in opposition to the proposed changes. In the letter, the group challenged the merits of local control in questions of childhood nutrition. "Schools are one of the key environments where our state can work to defeat child obesity," the organization wrote. "Fit, nourished children perform better, miss less school, have fewer behavioral challenges, and are more likely to grow up to be healthy, working adults." Jay Root and Patrick Svitek contributed to this story. Disclosure: The Partnership for a Healthy Texas was a corporate sponsor of The Texas Tribune in 2013. A complete list of Tribune donors and sponsors can be viewed here.